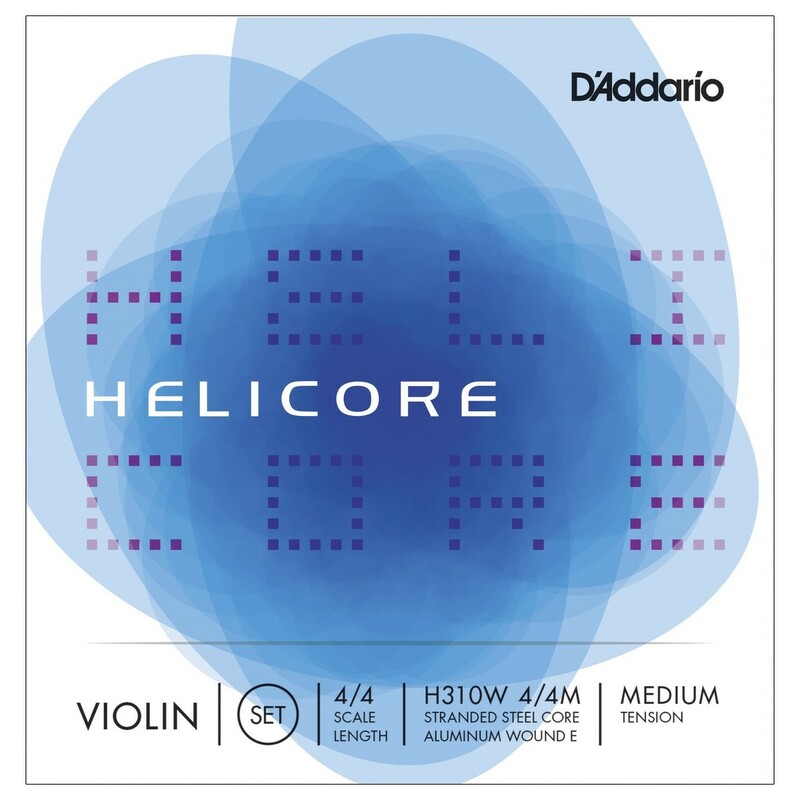 Daddario Helicore violin strings are crafted with a multi-stranded steel core, making for optimum playability and producing a clear, warm tone. The smaller string diameter provides quick bow response. Premium quality materials combine with skilled workmanship to craft strings with excellent pitch stability and longevity. Scaled to fit 4/4 size violin with a playing length of 13 inches (328mm), medium tension strings are optimized to the needs of a majority of players. The E string included with the H310W set is an aluminum wound steel-core E string.